Guaranteed Approved Financing! Red Leather Seats, Fully Equipped, Head-Up Display, APPLY NOW! 3 Months or 4500 Miles Warranty Included on Selected Inventory. All cars are VA State Inspected. Fully Professional Detailed. Nationwide Transportation Available on Additional Cost. We Pay Top Dollars for your Trade in. Buyer(s) are responsible for all state, county, city taxes and fees, as well as title/registration fees in the state that the vehicle will be registered. Call us Today for more information and Schedule your Test Drive Now! WE FINANCE EVERYONE! Fill out the credit application online to get approved today. Down payment may vary depending on your credit score. Special Online Pricing is based on one-time Cash, Check, Certified Funds and Money Order. We Accept Credit and Debit Cards which charges an additional 3% fee. Dealer Processing Fee $499. All Deposits made to Pride Auto Sales to hold the vehicle are Non-Refundable. 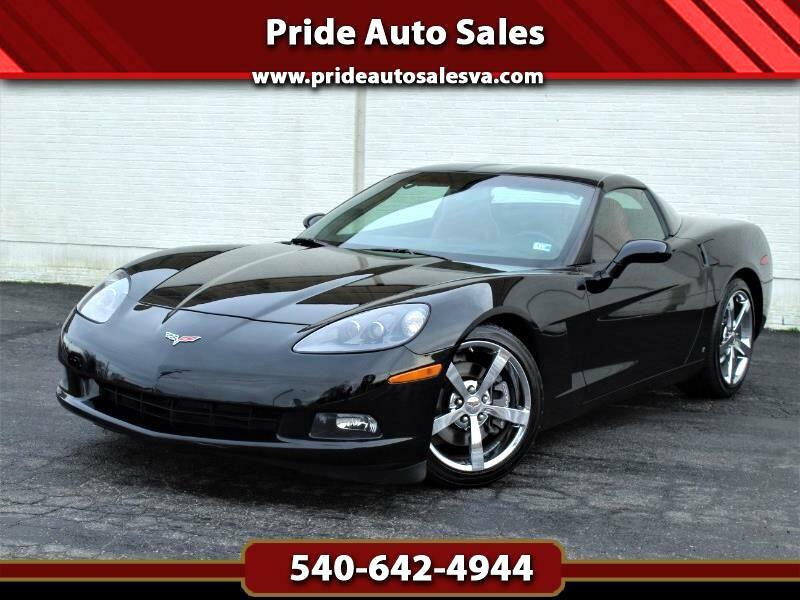 Visit Pride Auto Sales online at prideautosalesva.com to see more pictures of this vehicle or call us at 540-642-4944 today to schedule your test drive. Message: Thought you might be interested in this 2009 Chevrolet Corvette.